In a traditional garden, plant roots are in the soil. They support the plant and search for food and water. In hydroponics, we often use a growing medium in place of soil. The roots of a hydroponic plant do not work as hard as those of a plant grown in soil because their needs are readily met by the nutrient solution we feed them. Ideal mediums are chemically inert, porous, clean and able to drain freely. Perlite is derived from volcanic rock which has been heated to extremely high temperatures. 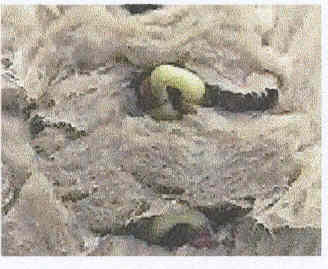 It then explodes like popcorn, resulting in the porous, white medium we use in hydroponics. Perlite can be used loose, in pots or bagged in thin plastics sleeves, referred to as "grow bags"
because the plants are grown right in the bags. 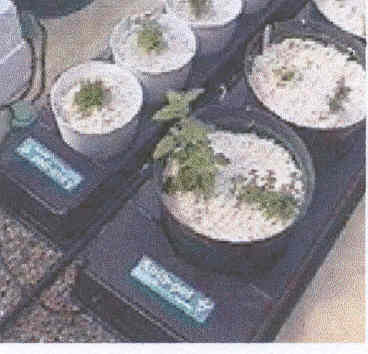 Plants in perlite grow bags are usually set up on a drip feed system. Perlite grow bags usually hold 3 or 4 long-term plants. Perlite is also used in many commercial potting soil mixes. fibers resembling insulation. These fibers are spun into cubes and slabs for hydroponic production. The cubes are commonly used for plant propagation and the slabs are used similarly to the perlite grow bags. A plant is set onto the rockwool slab and grown there. The plant roots grow down into the slab. Rockwool slabs usually hold 3or 4 long term plants. 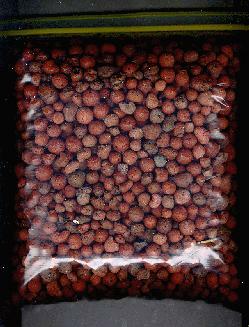 Many hobby hydroponic gardeners use expanded clay pebbles for their growing medium. Expanded clay pebbles have a neutral pH and excellent capillary action. Often Ebb and Flow systems use expanded clay pebbles in the grow pots as the growing medium.